According to the National Center on Sleep Disorders, adults spend about one-third of their lives snoozing. One-third of our lives averages out to a little more than 26 years in slumber. That’s a lot of pressure on a good night’s sleep, right? Well, at least that is how much sleep we should be getting. The combination of hectic lifestyles and inferior bedding form a potent one-two punch that deprives many of us of the more than 26 years of sleep we need to sustain healthy lives. Although most of the focus on bedding revolves around mattresses, the fact remains bed sheets are just as important of a factor in determining the quality of your sleep. Consumers typically shop for bed sheets after picking the right mattress. However, we suggest shopping for a mattress and bed sheets as a package deal. In fact, many bedding retailers bundle mattresses and bed sheets at discounted prices. 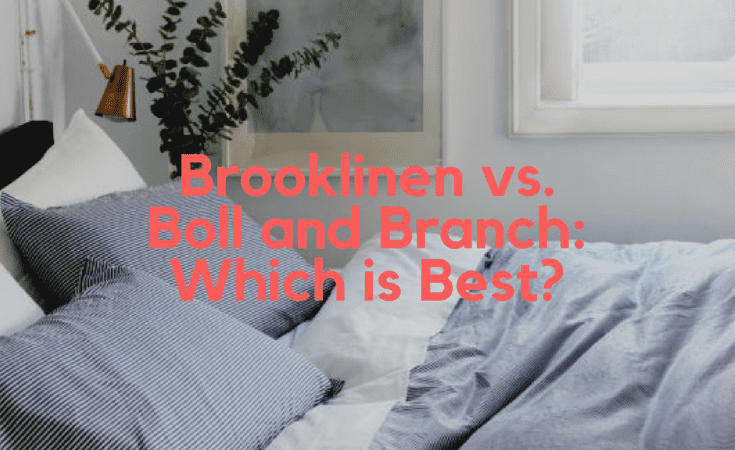 Let’s review how to shop for bed sheets, before comparing two popular linen sheets options: Brooklinen vs Boll and Branch. Consumers have hundreds of bed sheets available in stores and online. Internet shopping has created a boom for bed sheet sales because unlike mattresses, you do not have to try out bed sheets first before making a purchase decision. You just need to list a few specifications and search for the brand that matches all your bed sheet shopping criteria. Thread count represents the number of threads per square inch, which determines the tightness of the thread weave. Linen sheets that possess higher than average thread counts tend to be softer and more durable. However, thread count alone should not be how you select bed sheets. Other factors, such as the fabric used to design and manufacture bed sheets plays a role in determining the quality of bed sheets. Shoot for a thread count between 250 and 450 and then look at other factors that drive your buying decision. Buyer beware for any manufacturer claiming a thread count around 1,000. Artificially inflated thread counts do not mean you are getting better quality bed sheets. When you think of bed sheet fabric, the first material that comes to mind is probably cotton, specifically organic cotton. Most sleep experts agree high-quality, long-staple organic cotton produces the softest feel, even a softer feel than often more expensive silk. You should consider 100% Pima or Egyptian organic cotton, although several other blends provide long lasting comfort as well. Organic cotton helps farmers cultivate cotton from land that renews every year, instead of losing soil nutrients because of the poor harvesting practices used for standard cotton. Cotton sateen delivers a cozy satin feel, while flannel cotton rules the bed sheet industry for consumers who live in cold climates. Jersey knit creates sheet after sheet of stretchable soft fabric, which allows sleepers that move about at night plenty of room to roam a mattress. The type of cotton you choose boils down to personal sleeping preference. Choose a fabric blend that matches your sleeping preferences; just make sure the fabric blend is 100% cotton. Bed sheet care is the only reason why you might opt for a fabric other than organic cotton. Microfiber sheets contain extremely fine fibers that manufacturers synthetically make. The material feels a bit soft and smooth, but the real value of using microfiber sheets is the how easy it is to take care of the bed sheets. Washing and drying bed sheets are about the same for any type of sheet fabric. Microfiber bed sheets hold up better over time, as well as if you launder your bed sheets frequently. Nonetheless, high-quality cotton and polyester blended bed sheets typically come out of dryers wrinkle free. Perhaps the greatest unknown for buying bed sheets involves choosing the correct size to match the size of a mattress. With differences in depth and thickness, mattresses come in a wide variety of sizes. Twin XL flat: Not made; use a standard twin flat sheet. Has the time come to remove the old bed sheets and enjoy the super soft feel of new bed sheets? 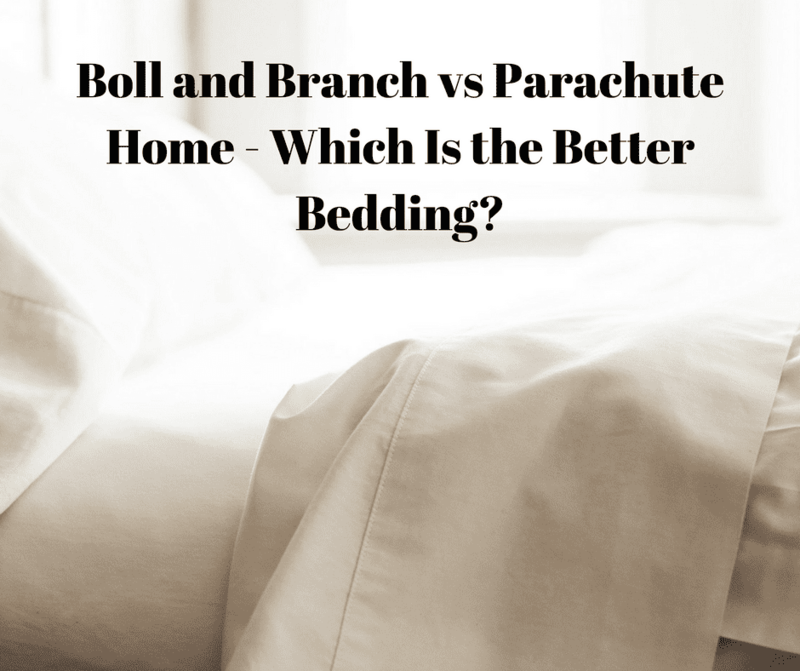 If you answered yes, we are here to help you choose among two of the leading bedding brands: Brookline vs Boll and Branch. Both companies bring plenty of the best bed sheet features to the table. However, a few minor differences will help you decide which company offers you the right bed sheets. 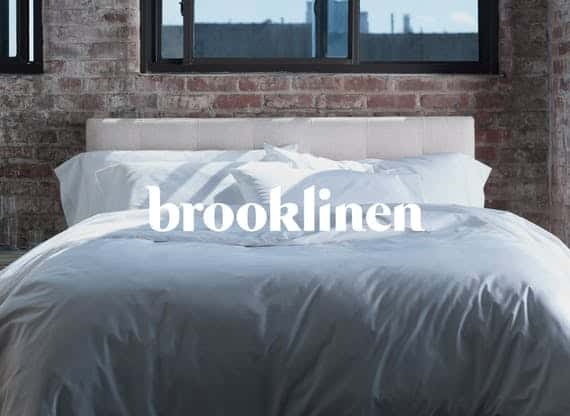 For years, Brooklinen has earned the reputation for designing and manufacturing some of the highest quality bed sheets on the market. Customer and bedding expert reviews mention the same benefits delivered by pulling a Brooklinen bed sheet up to your chin for a restful night’s sleep. We examine the company’s premier bed sheets, which is the Brooklinen Classic Core set. 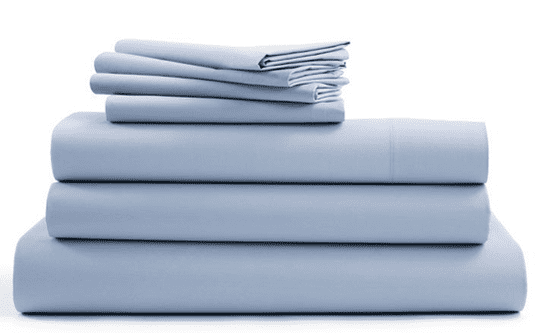 Each set includes one flat sheet, one fitted sheet, and two pillowcases. How has the company made a name for offering high-performance bed sheets? Let us count the ways. Fabric quality for the Brooklinen Classic Core bed sheet set starts and ends with 100% long staple cotton. You will notice the high quality of the fabric the first time you spread the bed sheet over your mattress. Long staple cotton creates a super smooth feel over the entire body, which immediately relaxes the body when you slip under the Brooklinen sheets for a good night’s sleep. 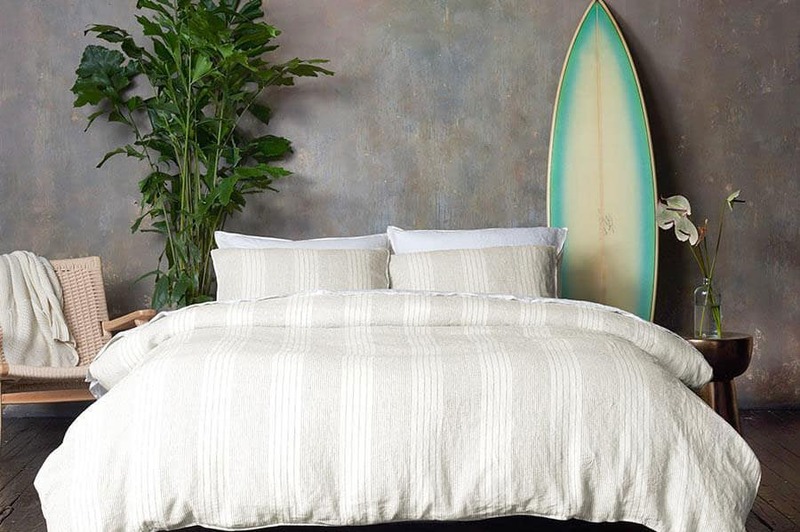 Brooklinen enhances the super smooth feel of the long staple cotton by weaving a 270 thread count. The thread count ensures the long staple cotton becomes softer after every wash and dry cycle. With most other styles of branded bed sheets diminishing in quality with age, like a fine wine, the Brooklinen Classic Core bed sheet set improves in performance over time. The percale weave produces the ideal weight for optimizing breathability. Spend a little time performing a thorough inspection of the long staple cotton fabric and chances are you will not find one loose thread. The percale weave creates a smooth surface that withstands the punishment handed out by active sleepers. Even if you find a loose thread after sleeping under the bed sheets a few times, you can easily remove the threads and not have to worry about ripping the fabric. Loose threads typically lead to the development of tiny gaps that can eventually turn into larger holes. Brookline engineering has created an elastic band on the fitted sheet that remains intact for years to come. The fitted sheet fits mattresses that have depths reaching as much as 15 inches. That is more than one foot of coverage, which puts Brookline fitted sheets near the top of the class for offering mattress coverage. Moreover, the elastic band fits around the entire bottom of the fitted sheet to ensure the snuggest fit for any mattress up to 15 inches thick. The snug fitted sheet fit means you never have to wake up lying on a mattress partially bare because the fitted sheet became detached from the mattress sides. Brookline designed the pillowcases by using the envelope design, which means after you slide a pillow into a case, the pillow should remain secured in the envelope design enclosure. The envelop design allows Brookline to avoid using another layer of fabric to secure pillows. You plunk down nearly $1,000 to purchase a top of the line mattress. With a significant investment in the quality of your sleep, it makes sense to put the same effort into buying high-performance bed sheets that last as long as the mattress. The Brookline Classic Core bed sheet set has taken on every laboratory test to prove it exceeds the lifespan of most other bed sheets in the same class. As the most common durability issue, fabric shrinkage can create a carousel of bed sheets unless you discover the right brand that ensures wash and dry cycles do not shrink bed sheet fabric. In general, Brooklinen bed sheets come out of the dryer looking the same as the sheets did before you put them in the washing machine. However, the Brooklinen Classic Core bed sheet set is one of the toughest collection of sheets and pillowcases developed by any bedding company. By following the washing and drying instructions included by Brooklinen, your bed sheets should perform the same after the 100th wash and dry cycle, as the sheets performed before you cleaned them for the first time. The key is the Brookline Classic Core bed sheet set is designed to prevent wash and dry cycles from producing loose threads. Numerous tests conducted for the Brooklinen Class Core bed sheet set revealed the flat sheet lost about four percent of its size, while the pillowcase shrank by just under two percent. Both numbers fall below what bedding experts call acceptable, which is bed sheet shrinkage of five percent. How Do the Colors Hold Up? 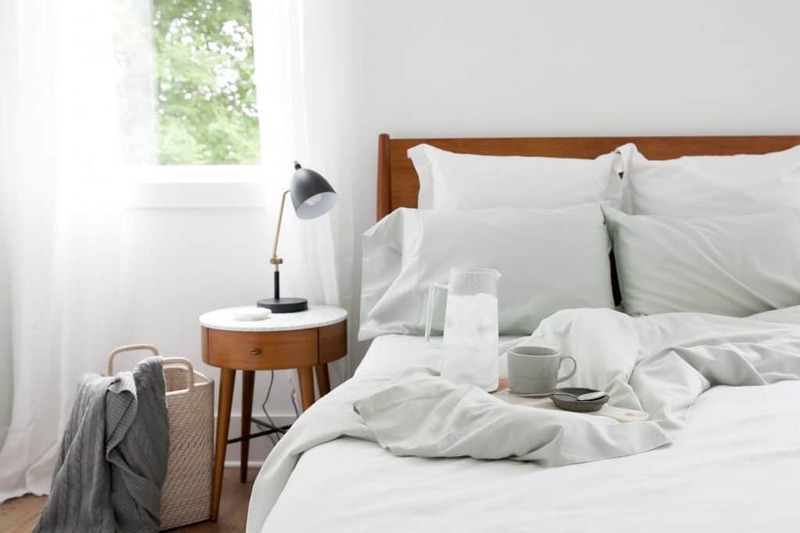 Up to this point, the Brooklinen Classic Core bed sheet test ranks as one of the best performers in its product category class. Now the question turns to appearance. Does the bed sheet set to retain its color after multiple wash and dry cycles? An independently conducted test involved washing two different bed sheet sets, one a bright color and one a more neutral color. Testers placed both bed sheet sets in warm water to absorb the liquid into the fabric. After a few minutes, testers pulled the sheets out and squeeze out any excess water. The testers placed the sheets and pillowcases on paper towels and then they moved a rolling pin over the fabric to determine if the colors bled. The neutral color did not show any signs of bleeding, but the bright color left a considerable imprint in the paper towels. Bright color bleeding after a wash cycle appears to be the only negative attribute of Brooklinen Classic Core bed sheet sets. The lightweight texture designed for Brookline Classic Core bed sheet sets make it feel as if the sheets float just above the body. By using a softness scale that runs from 1 to 10 and one representing the softest fabric, Brookline sheets sit at about a three. The sheets do not catch on the body during the night, which allow you to avoid waking up in a crumpled mess of bedding. The sheets also generate a cooling effect, which helps hot sleepers remain comfortably cool, as the body heats up during the transition to deep sleep. Although the sheets possess a light texture, the solid thread count ensures you retain heat when you need it the most. The sheets also do a good job of providing breathability. We recommend Brookline bed sheets for several reasons. If you like covering your body with soft organic cotton fabric, you will love the Brookline Classic Core bed sheet set. One-hundred percent long-staple cotton comes right out of the package delivering supreme smooth comfort and the more you sleep with the Brooklinen sheets, the softer the fabric gets. Lightweight cotton produces a delicate feel, without compromising the strength of the fabric. The high thread count and percale weave prevent loose threads from forming and thus, you rarely have to deal with fabric rips and tears. No other bed sheet manufacturer pulls off the balance between comfort and durability better than Brooklinen. Multiple colors and design options make the sheets a homeowner’s dream. You can mix and match designs every time you change the decor of your bedroom. Brookline bed sheets run higher than the average cost of standard bed sheets. However, if you are searching for a comfortable way to tuck yourself in for the night, as well as enjoy sleeping on and under sheets that contain temperature adapting characteristics, then Brookline Class Core bed sheets are for you. Boll and Branch bed sheets enjoy a reputation for delivering high quality, but the sheets do not come cheap. We encourage consumers to understand the unique feel that comes with Boll and Branch bed sheets, before making a purchase. You have to like the type of fabric Boll and Branch creates. Otherwise, you waste money on relatively pricey bed sheets. 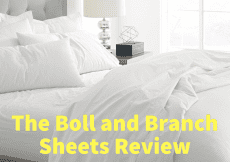 We review the Signature Soft Solid Hemmed bed sheet set, which is the most popular line of bed sheets offered by Boll and Branch. Each bed sheet set contains one flat sheet, one fitted sheet, two pillowcases, and a bonus laundry bag to store bedding supplies. Like Brooklinen, Boll and Branch goes all out in designing and manufacturing its most popular set of bed sheets. The company uses the highest quality, long-staple organic cotton that weaves into a fabric that has a 300 thread count. With a higher thread count than what the Brooklinen Classic Core bed sheet set delivers, the Signature Soft Solid Hemmed bed sheet set from Boll and Branch sets the standard for long-lasting durability. Boll and Branch implements a finishing process that goes through eight steps, which includes heating and buffing the fabric to maximize softness. The hem measuring a little more than seven inches introduces a contemporary feature that works fashionably well with ornate bedroom accessories. Although the fitted sheet runs fairly deep down most mattresses, some reviews complain that the fitted sheet does not offer the same amount of depth as thicker than average mattresses. You should enjoy the fit for a mattress measuring eight inches deep, but almost double the depth to 15 inches and you might experience fitting issues. 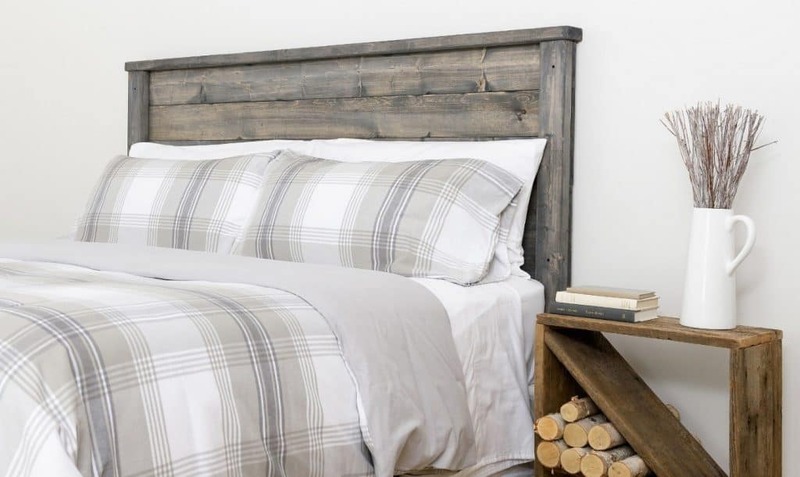 Boll and Branch does an excellent job on social media responding to customer input and the company has already started working on a next-generation version of its most popular bed sheets to improve the fit of the bed sheets. The pillowcases extend well beyond the size of standard pillows, which can be a nuisance when you adjust the position of a pillow. If you want to enjoy the perfect pillowcase fit, you will probably have to buy another pillow to accommodate the larger than average size pillows cases. Boll and Branch have designed the Signature Soft Solid Hemmed bed sheet set with a thicker texture than the texture found with the Brooklinen Class Core bed sheet set. The thicker texture gives the Boll and Branch bed sheets a much crisper feel, which can turn people off that prefer softer, lighter bed sheet fabrics. Many customer reviews applaud the Boll and Branch bed sheets for feeling cool to the touch. The company promotes its most popular line of bed sheets for hot sleepers consumers who live in warmer climates. High breathability of the fabric ensures a warming up the body in the middle of the night does not overheat. The bright color bleeding of Brooklinen Classic Core bed sheets does not happen when the same testis performed on Boll and Branch bed sheets. Boll and Branch customers report no fading of any other the colors, bright or not. In addition to no color bleeding, the Signature Soft Solid Hemmed bed sheet set offers almost industry leading durability. The sheets and pillowcases withstand countless wash and dry cycles, without you having to deal with loose threads. Few reports of loose threads have reached the Internet, as it seems it is difficult to rip or tear the fabric whenever on bed sheet set comes of your bed and another set goes on your bed. Even active sleepers do little to diminish the performance of Boll and Branch bed sheets over an extended period of time. Despite the above average price, Boll and Branch bed sheets give you outstanding value because of the long-term durability of the fabric. The company runs several online promotions to motivate potential customers into buying Signature Soft Solid Hemmed bed sheet sets for the first time. Boll and Branch bed sheets provide immediate warmth when you pull the sheets up to your chin. Unlike Brooklinen Class Core bed sheets, Boll and Branch Signature Soft Solid Hemmed brightly colored bed sheets do not bleed. If you enjoy sleeping on and under 100% organic long staple cotton, as well as want a little design flexibility to pair sheets with the décor of your bedroom, then Boll and Brach bed sheets are for you. The eight-step fabric finishing process, which includes heating and buffing the fabric, creates a luxuriously soft feel that makes the name of the most popular line of Boll and Branch bed sheets appropriate. Boll and Branch creates more of a silky feel out of the same type of organic cotton used by the Brooklinen Classic Core line of bed sheet sets. Boll and Branch have started working on a new version of the Signature Soft Solid Hemmed bed sheet sets to extend the length of the fitted sheet to cover more area on thicker than average mattresses. If you prefer bed sheet fabric that has undergone the Percale weave, then maybe Boll and Branch is not the company to design and manufacture your next set of bed sheets. Alternatives to Brooklinen and Boll and Branch? There are a few other competitors worth considering in the luxury sheets in a box space right now. MyPillow vs. Purple Pillow: Which One Will You Like More?